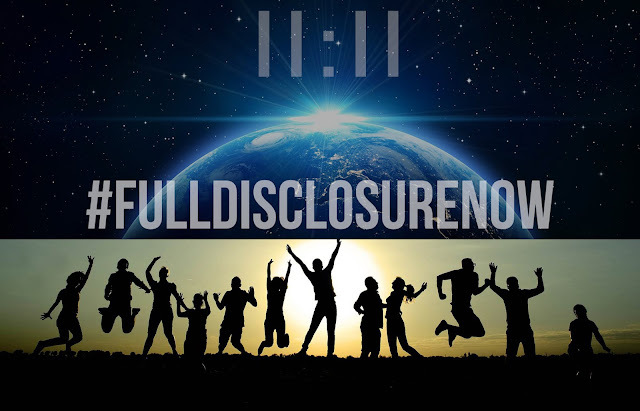 This post is the answer to a reader question, "How can we as individuals step in and help with the process of disclosure and societal change for the better even if we feel our sphere of influence is limited?" (...to paraphrasing.) My thanks goes to her and to all of you who continue to send me your questions. Many of us are well aware of the various disclosures unfolding into the collective consciousness of society. We may have been watching events progress and disclosures take place, and are likely excited about these developments. As we observe various changes in society, it can be easy to feel compelled to step in and assist the growing need not only for disclosure, but for social and societal involvement in the disclosure process. So how can we help the truth into the light of day for all to see and to benefit from? There are actually numerous ways in which a person can contribute to their community and help Full Disclosure happen. Here's is a list of possible community activities designed for this very purpose. In 2016, a website called the New Earth Network was created as a hub for forming community groups and bringing people together for the sake of truth and disclosure. This is a website that is built on a platform similar to Meetup, but it is designed specifically for the purpose of building community and changing society for the better. For a little more background on the New Earth Network, here is an excerpt taken from the About page of the site. I happen to know Mike W., and I can say that he is a very driven individual dedicated to helping form communities of awakened and progressive people. During his efforts, Mike discovered that the number of people willing to participate in such positive community groups is actually staggering. We may also be surprised at how many people would attend these meetings in our own area if we made the effort to form these groups. The idea is that these communities serve as hub of higher consciousness for anyone who desires to be with like-minded people. These communities would be self-organizing, of course, and their focus would be determined completely by their own individual and collective desires and goals. By creating these groups of higher consciousness, we make it easier for society to raise their own collective vibration and awareness for the need for true disclosure. There is one website that is dedicated to educating the people about the endless possibilities waiting for us to learn once we reach Full Disclosure. The site is called the Disclosure Institute and the major goal of this site is to produce media on the numerous subjects of full disclosure and to open numerous dialogs about the subjects of institutional secrecy in our world. The site is extensive and detailed in content and gives a comprehensive set of instruction for creating and distributing educational content. The instructions for creating DVDs to hand out freely to those interested in learning more makes this site unique among any I have seen thus far. If a person felt the desire, they could easily start a community group and then hand out these DVDs to attendees, and create a strong momentum for growth and education from that point on. Disclosure Institute provides a unique and vitally beneficial resource for those interested. For more information, click the link below. One other helpful resource to visit is actually a proposal written in PDF form online. This proposal consists of specifics on how to build a community group and helpful tips on appreciating people's individual experiences and helping them cultivate their own goals for full disclosure. The proposal is fairly extensive, and goes into detail on these topics. The desire to contribute to productive community efforts typically shows a new level of soul development. When we first awaken, we often find ourselves in a state of bewilderment and passive observation. We take in every experience as we view the world in new ways, with new dimensionality, and a new perspective. This state of bewilderment can last for any given period of time depending upon the individual's choice. Some souls choose to enjoy the experience of observation for longer than others, and this is fine. However, some may be prompted to progress beyond this point to their chosen calling of contribution. Some of us may heed this calling, while others may miss or choose to ignore it, but eventually, this calling takes place for every one of us. To desire to contribute to planetary liberation in the best way possible is an individual choice and once a core group of people makes this choice and decide to work together in unity, there is virtually nothing that can stop them. Our paths of evolution has many turns, and walking upon them we will have different experiences. Some of us may even run into our soul families and have a grand reunion. This seems to be happening to many of us at this point in time, and to have such an experience as this is like no other. These eventual reunions may mark a vital point in evolution of consciousness. Similarly, there comes particular point in our personal evolution of consciousness when we come to a sort of ceiling. We find ourselves craving newness of experience and societal change on a massive scale. However, we find that even though we desire to contribute in great ways, the means by which we accomplish this do not come easily. Up until our first point of awakening of consciousness, we are only fed a steady diet of control and stagnation of our natural evolutionary process. Initially, we have no frame of reference for the new ideas and perspectives we might otherwise benefit from. It seems that only when we begin to share our experiences with like-minded awakened people do we become able to move beyond our stagnation. After that point, we to begin to develop practical means to improve the world around us. This is why it is so beneficial to form the community groups discussed above. In the right environment, these groups can provide a safe place for personal growth and progress as well as the means to enact tremendous positive change in our communities. As I learn about more resources and opportunities, I will be happy to share. Please send your questions to dtm2000plus@gmail.com.